As everyone’s feet are unique it is difficult to say exactly what your treatment will involve, but routine footcare is not usually painful, and is in fact quite relaxing for many people. You may just want your feet checked over or perhaps to give them a little treat for all the work they do. You may be unable to perform basic footcare tasks yourself and just require assistance. Margaret will discuss your treatment plan with you and if you have any particular concerns, please do not hesitate to raise them. Having good foot health is particularly important in people with diabetes as it can affect the circulation and sensation of their feet. It is recommended people with diabetes have regular foot check ups to minimize the risk of developing long term complications as a result of diabetes. The incidence of Diabetes is increasing and one in 10 is expected to be diabetic. 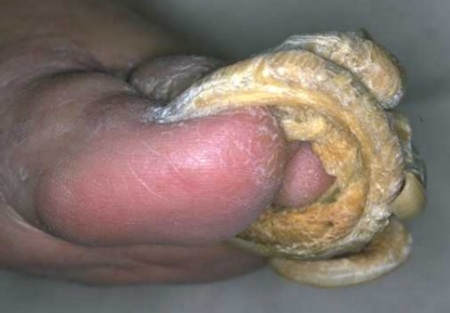 Both corns and callous are a result of repetitive intermittent pressure. Friction causes the thick, hardened, dead skin of corns and calluses, which form to protect sensitive skin. Appearing cone–shaped, corns point into the skin, and usually occur on areas that bear weight. Calluses may appear anywhere there's friction, and are more diffuse. Both may be caused by ill–fitting shoes and will fade when friction stops. Initially the corn and callosity will be debrided. We will then provide you with advice as to how to prevent or minimise its reoccurrence and pain. However unless the initial cause is addressed they do have a tendency to reoccur and therefore may need ongoing routine care. The appearance of our toenails can change for a number of reasons. Trauma, infection, illness, chemicals and medication can all affect the appearance of our toenails. Where a fungal infection is involved medication is required to eradicate the infection. Thickened nails can be managed by reducing the toenail to a normal level. Ingrowing toenails can be prevented from forming in most cases but hereditary factors may indicate surgical removal on occasions. Minor skin surgery is sometimes required to eradicate some of the more painful, serious foot pathologies under local anaesthesia such as toe nail removal or skin lesion removal. An infection occurs in the foot when germs multiply and cause damage to tissue. An infection is generally caused by a fungus, virus or bacteria. A common fungus that infects the skin and nail can cause the familiar “athletes foot”. A common virus that infects the skin of the feet causes the familiar “verrucca”. Bacteria normally live on the skin so in order for a serious bacterial foot infection to develop there needs to be a break in the skin or an ulcer or a wound in order for bacteria to get into the foot. In other words if Bacteria infect an open wound on the foot this can have more serious consequences and requires prompt treatment. Not all wounds will get infected, but the longer a wound remains non-healed the greater the chance of developing an infection. People with diabetes are more prone to developing wound infections especially those with poor blood sugar control. Foot infections can have serious consequences especially if they are not recognized and treated in a timely manner. Infection can cause serious injury to the affected part and thus needs to be treated as early as possible. Sometimes antibiotics and wound care is all that are necessary for treatment. In more serious or advanced infections surgery may also be necessary. 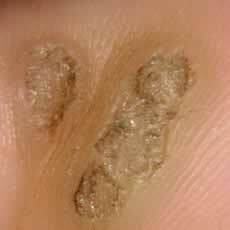 Verruca (Plantar Warts) are tough, horny growths that develop on the soles of the feet and are contagious. They are caused by the Human Papilloma Virus entering through broken skin, and often spread via public pools and showers. Plantar warts are harmless and can be left untreated, but in many cases they're too painful to ignore. There is no single effective method of treating verruca. The choice of treatment depends on the pain you are in, the position and the size of the lesion. Treatment methods may include more aggressive options such as cryosurgery (freezing), electrosurgery or surgical removal for the more severe painful cases. There is a vast array of appliances which are appropriate to footcare and which may be recommended and issued as part of your treatment plan. 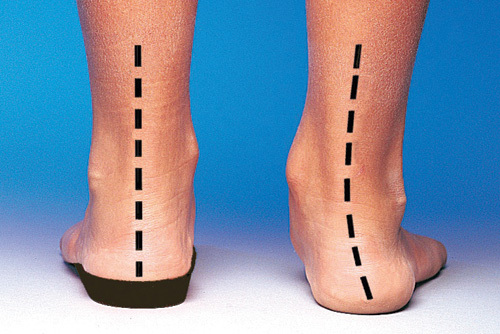 A variety of assessments are required when evaluating a foot problem. Sometimes it is necessary to deploy the aid of x-rays and/or laboratory analysis to confirm diagnosis. Podiatrists have limited prescribing rights and therefore GP issued pharmaceutical prescriptions are sometimes necessary such as antibiotic therapy. The repetitive high impact nature of sports places further stress on the musculoskeletal system of the lower extremity. Many sporting injuries are a result of poor biomechanics and alignment. Many recreational and professional athletes participating in football, cricket, athletics, tennis, golf, basketball and dancing commonly present with overuse injuries Common overuse injuries include Achilles tendonitis, Shin Splints and Stress Fractures and ligament strain or sprain. 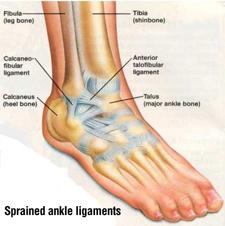 Many lower limb injuries are often caused, at least in part, by poor biomechanics. If joints are stiff (usually caused by muscle tightness), limiting range of motion, or muscles are weak, the body must find ways of compensating for the problem, leading to biomechanical abnormalities. Biomechanics is about the way your body moves and how the movements of your lower limb and foot affect the rest of the body. It is important that your feet are in good working order and are mechanically efficient; otherwise you will feel aches and pains in other areas of your body – such as your knees, hips and back, as well as in your feet. Runners and athletes whose sports require a high level of running and jumping should make sure they have had a gait analysis and buy the correct footwear to avoid future overuse injuries. 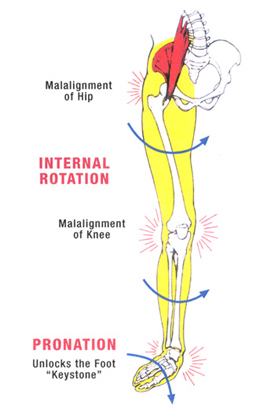 The most common biomechanical problems are over pronation or supination. Biomechanical problems such as these are usually caused by an imbalance of muscles (tight muscles working against weak muscles), although they can sometimes be caused by structural problems, such as leg length discrepancies resulting in hip hiking. Gait is the way in which we move our whole body from one point to another. Most often, this is done by walking, although we may also run, skip, hop etc. Gait analysis is a method used to assess the way we walk or run to highlight biomechanical abnormalities. Gait analysis can be performed by a podiatrist and usually involves walking or running on a treadmill while the podiatrist simply observes the way that you move, looking in particular at the alignment of your feet, ankles, knees and hips in relation to each other and the rest of your body. Being able to move efficiently is important in avoiding injuries. Having joints capable of providing sufficient movement and muscles capable of producing sufficient force is vital to generate an efficient gait cycle. The more common overuse injuries associated with poor gait are Shin splints, Plantar fasciitis and recurring knee and/or ankle injuries and lower back pain. Onward Specialist referral is sometimes necessary if professionally recommended by the Podiatrist for medical specialist assessment /treatment. Sometimes it is necessary to refer on to Orthopaedics, Dermatology or Podiatric surgery. The Podiatrist knows when a condition is beyond their scope of practice and GP involvement is necessary to refer on to more specialist services. Podiatrists sometimes recommend inserts for your shoes for a specific reason such as cushioning, pressure redistribution, thermal insulation or many other reasons. 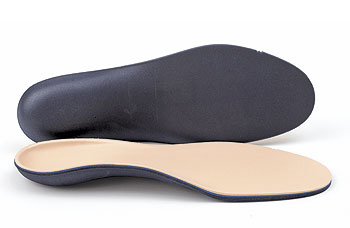 Such simple insoles can be inexpensive and quite effective if appropriately issued. Orthotics are prescription appliances issued for insertion to your specific footwear and may have a degree of correction in built to realign the mechanics of your lower limb. These are issued following gait analysis and biomechanical assessment. These can vary in price depending on manufacture , methods and purpose and materials used. Footwear contributes to many foot problems and appropriate advice is important and is best given by a Podiatrist. Many footwear modifications are possible and very specialist footwear is available and can be prescribed if necessary. Some sporting and occupations demand very specific footwear for specific purposes and professional advice is invaluable.